Domaine Jasmin was founded at the start of the 20th century. The first vintages made date as far back as 1910. Robert Jasmin managed the estate during the 1970’s, perhaps their peak years until he passed away. 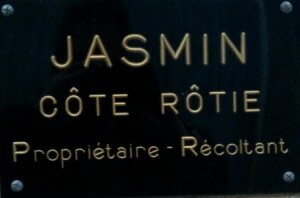 Patrick Jasmin began managing Jasmin after the accidental death of his father, Robert Jasmin in 1999. Patrick, an avid motocross racer, became a champion in France, when he won the Kart-Cross race in 2000. Making Cote Rotie is not new to Patrick Jasmin, in fact, he is the fourth generation in his family to produce Jasmin Cote Rotie. The 5.3 hectare Domaine Jasmin Cote Rotie vineyard is spread out over 8 distinctly, different lieux-dits in the southern part of the appellation including: La Chevaliere, Les Moutonnes, Le Baleyat, Coteaux de Tupin and Baudin. The vines range in age with their oldest vines being close to 60 years old. Their Northern Rhone terroir is a blend of schist, granite, clay and limestone soils. The steep, terraced, hillside vineyard is planted to 95% Syrah and 5% Viognier. No green harvesting is performed in the vineyards at this traditionally managed property. To produce the wine of Domaine Jasmin, all the grapes are completely destemmed. This is not a recent development. In fact, this practice started back in 1996. Each parcel is vinified separately to its own needs. Because the Viognier is planted along with the Syrah, both varieties are co-fermented in traditional cement tanks. The wine of Domaine Jasmin is then aged in a combination of French oak barrels that range in size from standard 228 liter barrels, 300 liter and 400 liter barrels, up to 600 liter demi muids. The amount of new, French oak barrels used for the aging ranges from 25% to 30%, depending on the vintage. 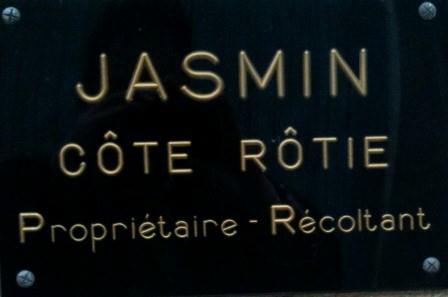 The best vintages of Domaine Jasmin Cote Rotie are: 2018, 2017, 2016, 2015, 2012, 2010, 2009, 2007, 2005, 2003, 2001, 1999, 1995, 1991 and 1978. 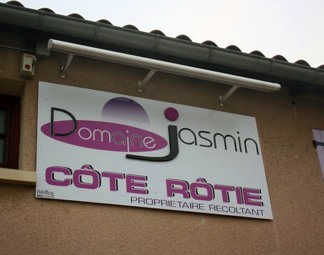 Domaine Jasmin Cote Rotie is a lighter, fresher, elegant, medium bodied, traditional style of Cote Rotie which offers fresh, bright red and black fruit flavors. The wine is at its best in its youth and should in most cases, be enjoyed by its 15th birthday. On average, 1,200 cases of Domaine Jasmin Cote Rotie are produced each year. Domaine Jasmin, when young, should be decanted at least 1-2 hours, give or take, allowing the wines to soften and open their perfume. Older vintages might need very little decanting, just enough to remove the sediment. Domaine Jasmin is often better with 5-7 years of cellaring and should be at its best between 8-15 years of age. Domaine Jasmin is best served at 15.5 degrees Celsius, 60 degrees Fahrenheit. The cool, almost cellar temperature gives the wine more freshness and lift. Domaine Jasmin is best served with all types of classic meat dishes, veal, pork, beef, lamb, duck, game, roast chicken, roasted, braised and grilled dishes, tomatoes, eggplant and sausage. Domaine Jasmin is also good with Asian dishes, hearty fish courses like tuna, mushrooms and pasta. Still young, but not too young to get the idea behind this medium bodied, fresh, bright, floral wine, and all its refined, earthy, spicy, sweet , bright cherries and tapenade. A few more years will take a bit of the bite out of the acidity, while allowing the wine to remain fresh. Fresh, bright, medium bodied and already showing a distinctive floral element complimenting the crisp, sweet, spicy, strawberry and kirsch notes. You can drink this now, or hang on to it for another 5-10 years. Ruby colored, displaying more red than black fruits, raspberries, strawberry and a tinge of cherry lacks concentration and intensity to be really interesting. This medium bodied wine is fully mature and is better drunk sooner than later. Aromas of black fruit, plums and bacon fat. Not very concentrated, but a pleasure to taste. Will drink best young. Red fruit, pepper and spice made up the perfume. Medium bodied and not very exciting, this fully mature wine ends in more red fruit than black flavors. Earthy, dark cherry, pepper, kirsch, fresh herbs and forest scents are easy to find. Medium to full bodied with soft textures and a soft, bright cherry finish.